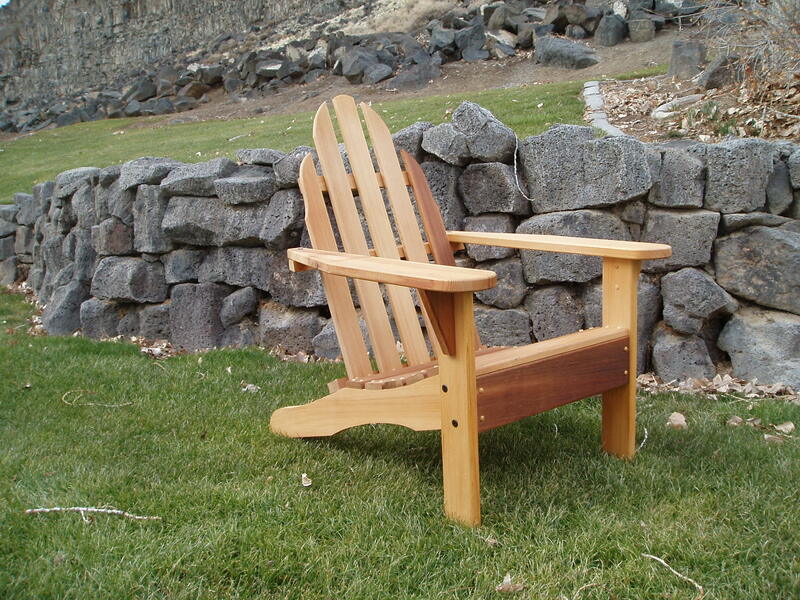 A variety of types of wood can be used to make the classic Adirondack chair. Each type reflects the quality and longevity of the chair. 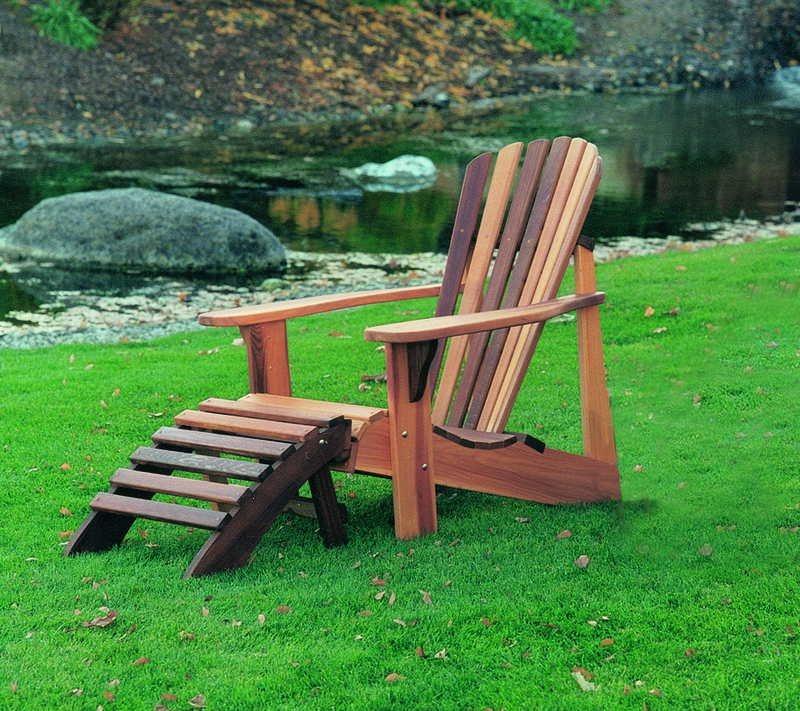 At Wood Country, we make sure to use the highest quality Western Red Cedar to maximize longevity and beauty. Pine is fine for short term but it is not termite resistant and is prone to water damage, mildew and rotting. Pine lasts longer when finished with a primer and UV rating top coat. Pine can last longer than a few years but it requires regular maintenance. Pine is a cheap wood available anywhere and most often used in low cost products. Pressure-treated pine is also used but contains chemicals harmful to one’s health. Cedar is the best softwood for longevity, as it is naturally impervious to rot and the cedar oils deter insects. Cedar is the choice wood for decks, boardwalks, and such due to its high durability and easy availability in North America (as it is a native wood there). Marks and blemishes can be easily sanded away and Cedar can last many generations. If left unfinished, it will eventually turn to a soft silvery grey. After a decade of use, small fissures will show up in the wood surface but they do not compromise the strength or life of the wood. There are many species of cedar but the longest lasting of them is Western Red Cedar. This is our preferred building material! Teak is a very heavy hardwood that can last for generations. Its density creates the heavy weight to this wood and like cedar it is naturally impervious to termites. Teak is imported and not a native wood to North America and with its heavy weight and high demand it is quite expensive (up to 3 times the price of products made of cedar, and up to 6 times the price of products made of pine). Teak is difficult to care for as it does not take a stain well. Take a look at our online catalog to find the Adirondack chair that is right for your space! You can order online or contact us to place your order.